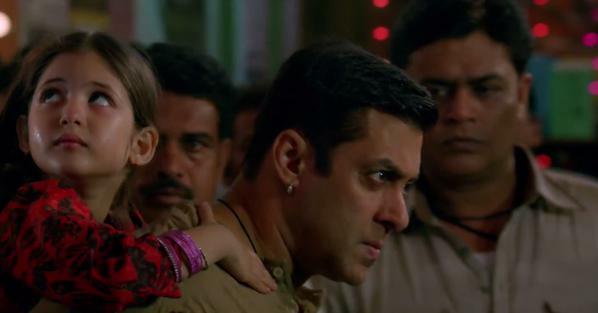 Bajrangi Bhaijaan Teaser Response, Comparison, Budget, Release Screen Count and Other Queries. As Bajrangi Bhaijaan teaser trailer starring Salman Khan, Kareena Kapoor Khan and Nawazudding Siddiqui released two days back, we are bombarded with many queries regarding the film. Common queries are like: How is the Teaser Response, How it is in comparison to Ek Tha Tiger and Kick, What is the budget of the film, In how screens film will get released, Shah Rukh Khan and Aamir Khan supporting the film will impact on box office performances. We will try to give our take on the above mentioned queries. 1. How is the Bajrangi Bhaijaan Teaser Response - The first response of the teaser is good. Teaser is already viral in social media site and internet and getting good Hits. Although BB is a typical Salman Khan film, but this time treatment is looking different at least from the first teaser. There seems a good story to tell which will be deadly combination with Salman Khan in it. A little girl from Pakistan lost her way in India. Salman 'Bhaijaan' who is a big 'bhakt' of 'Bajrangi Bali' (Hanuman) takes all responsibility to return this little child to her parents in Pakistan. Chemistry between Salman and Kareena looking good in whatever 2-3 scenes shown in teaser. Only one song is running in the background of teaser and it seems a chartbuster from word go. Bantering between Salman and Nawaz will be something to look for. Overall first impact of the teaser is good and USP being the 'little child'. 2. How's Bajrangi Bhaijaan Teaser in comparison to Ek Tha Tiger and Kick - Ek Tha Tiger and Kick trailers are one of the best in recent times without a doubt. But comparing them with BB will be little bit unfair as later seems more content based, whereas former two are more on action based. It is like comparing Dhoom 3 trailer with PK. BB trailer stands on its own and bring something new to plate and that's enough. 3. What is the Budget of Bajrangi Bhaijaan - Official statement on budget is not yet released. Our estimate suggest film budget is around 80 crores. With addition of Publicity and advertising total landing cost will be around 100 crores. Wait for actual confirmation though. 4. How many screens Bajrangi Bhaijaan will be released - It is too early to predict screen count of Bajrangi Bhaijaan. Still, it is well known fact that BB is one of the biggest release of the year. It is EID release and definitely will come solo as per few exhibitors. There are few reports that another big release may clash with it, but that will struggle to get any significant screens if it definitely clashes. Overall if BB comes solo it will definitely get 4000+ screens in India. 5. Shah Rukh Khan and Aamir Khan supporting Bajrangi Bhaijaan will help in box office performance of the film - Don't think so as far as box office performance is concerned. Yes, it has created a hype of sort but in box office performance don't think so. Earlier Salman has promoted Dhoom 3 and Happy New Year. Aamir promoted Jai Ho. Now SRK and Aamir promoting BB. So, it is just mutual admiration and good will for each other. It definitely helps in adding more buzz. Salman Khan is a big crowd puller which will help the film to open big. After that it will be the content. Yes, festive season will definitely add few moolah more than usual. Nice article.... and well explanation. I think this teaser may be edited before KASHMIR shooting. I hope we will able to see Kashmir scene as well in more promos/ trailer. Thanks admin for answering my question. Highly appreciated. I think it gadar ek prem katha part-2. wohi gisi piti story he kuch naya nahi he laga movie me kanhi bhai movie flop na ho gaye isliye tino khan milkar promotion kar rahe hain. Bajrang Bali Is omnipresent ,then why not in pakistan.why is nawazuddin or perhaps kabir khan so confused about it. All the best neeraj bro..but once again tough time for salman again. High ticket price or muslims ke sabse bade festival par release ho rahi he to movie to chalegi hi but story weak he future me koi movie yaad nahi rakhega. Naam to jai ho ke liye bhi kafi tha phir flop kyu hui?